A wonderful winter warmer. Deep amber, strong ale not for the faint hearted. 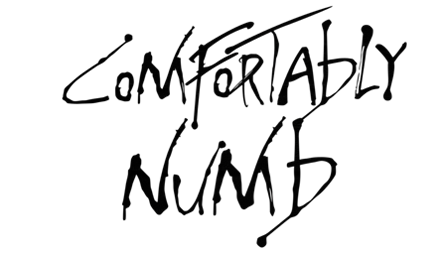 A magical blend of malts with Styrian hops that give a mouth-watering hop aroma, smooth and warming malt flavours with a deep, spicy hop finish. Devilishly moreish. Pint at the Old Elm Tree, Durham. Golden body with a white frothy head. Hoppy and citrus aromas, with a full flavour to match. Cask @Kitty’s, Helsinki. Clear dark amber color. Nice firm white head, stays. Fruity, sweet, malty, grainy notes in aroma. Fruity, mango, grainy, light hops in taste. Smells and tastes bit raw, but mellow. Smooth mouthfeel. Drinkable brew. Cask @ OT. Fresh and easy to drink with notes of caramel, fruits, knäckebröd and mild spices. Medium bitterness. Nice soft mouthfeel. 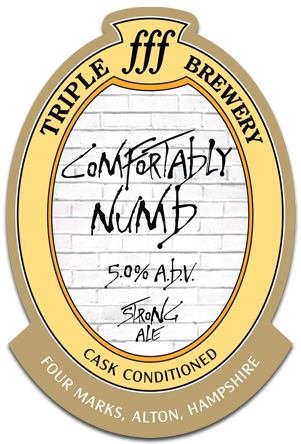 Had a lovely pint of Comfortably Numb in the The Harp, Charing Cross. It's very deceptive, goes down really easily and doesn't let you know it's a strong ale. A dangerous beer and one of my favourites! Cask at the Webb Ellis JDW, dark amber with a lacing head, fruity and faintly tart nose, mid to full bodied, rich fruity and honeyed body with toast and marmalade notes and a spicy citrus-bitter edge. Pours a mid brown colour with a thin white head, malt and fruit aroma, taste is sweet and fruity with citrus, with a dry finish. Clear amber beer, very small off-white head, unstable, adhesive leaving a nice lacing. Aroma: cow stable, hay, some caramel, hazelnuts, toast, little bready, yeast. MF: no carbon, medium body. Taste: caramel, nutty, hay, chestnuts, soft bitter. Aftertaste: hops, toast, little caramel, very English touch. Cask Real Ale tasted at Angleterre 0.23L glass. Nose of berries. Pale beige head (4mm). Dark coppery colour. Malty and roasty hoppy taste with some hints of berries (raspberry). At the end hoppy bitterness.